Automattic Supports Tripawds! And Vice Versa. Technically speaking, we should say that Akismet Spam Protection supports the efforts of the Tripawds Foundation. Tripawds Bloggers may notice a new link in the footer of their blogs. 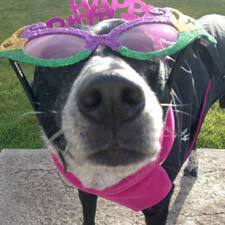 You’ll find it here too, and at the bottom of every page in the Tripawds News blog. That’s because the fine folks at Automattic agreed to extend an Enterprise license for Akismet to the Tripawds Foundation for protecting all members from receiving comment spam on their blogs. To make a long story short, fighting comment spam has been an ongoing battle ever since Tripawds first started hosting free blogs for members to share photos and stories about their three legged dogs and cats. For the longest time, Admin used Akismet, the leading anti-spam protection for WordPress. Eventually, Akismet started charging for premium accounts. (Basic plans are still free.) This is perfectly understandable, considering the service Akismet provides. As it turned out, however, since the Tripawds network had gown to host 1000± blogs, an Enterprise level subscription was required to keep Akismet activated on all blogs. And the monthly fee was simply not in this nonprofit’s budget. 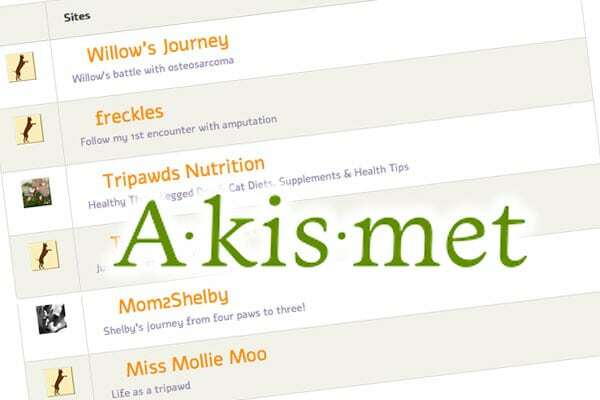 Understanding that Akismet is the best anti-spam solution for free Tripawds blogs, and knowing that our budget dollars are better spent on direct assistance programs to help amputee pets and their people, we pleaded our case to Akismet. Tripawds hosts free blogs for people coping with amputation and/or a cancer diagnosis for their beloved pets. Many of these still-active blogs were published by people whose pets have long since passed away. Members continually reported receiving an increasing amount of spam comments. No anti-spam solution was working as well as Akismet had. The Tripawds Foundation is a 501c3 nonprofit organization hoping to partner with an enterprise level spam protection provider as our free blog network continues to grow. We don’t know if our request ever reached Automattic—the parent company of Aksimet—or Matt himself, but we are pretty certain he would agree that Tripawds is a good cause. Regardless, our plea was heard. Akismet is now active on all member blogs, and there is no need for members to enter their own individual activation key. Say goodbye to comment spam! Your favorite Tripawds Admin has been a long time fan of the WordPress publishing platform, ever since he first discovered it in 2006 and published that first post about Jerry. He has always been impressed with the work of Automattic, especially Akismet. And now Tripawds Members have reason to appreciate it too. Help us thank Akismet and Automattic by using the social network buttons below to share the news about their support of the Tripawds Foundation! Get Your Tripawd Fit, on Us! THANK YOU MATT, AKISMET AND AUTOMATTIC! And thank you ADMIN GUY for always finding was to make this invaluable site better and better! Bye to spam and hello to the kiindness of Akismet! Things like this restore your faith in humanity! WOW… thank you SO much to everyone who worked on this. I always deleted the spammy comments as annoying as they were but I figured it was a price to pay (or not pay – Jasper’s blog is still free but I’ll join for sure). But this forum does SO much and to have a FREE website on the forums is a true gift so for that … I say THANK YOU!!!! THANK YOU !!!! 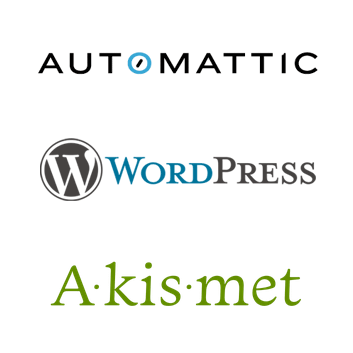 Thank you so much for doing this Matt, Akismet & Automattic. I am happy that you did this for this wonderful community. We love all you Tripawds and being part of the Tripawds community. This is a great place for us to meet others like us, and to share information that in some way helps us all.